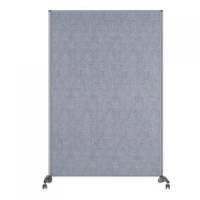 Bi-Office A-Frame Chalkboard 600x1200mm Black DKT30404042 Pack of 1 Bi-Office A Frame Chalk Board Black Frame 600 x 1200mm DKT30404042. Free standing double sided chalk board with black wooden frame. Easy clean surface for reduced dust. Folds flat. W600 x H1200mm. A-Frame Chalk Board With Stylish Cherry Wood Frame Pack of 1 A Frame Chalk Board.